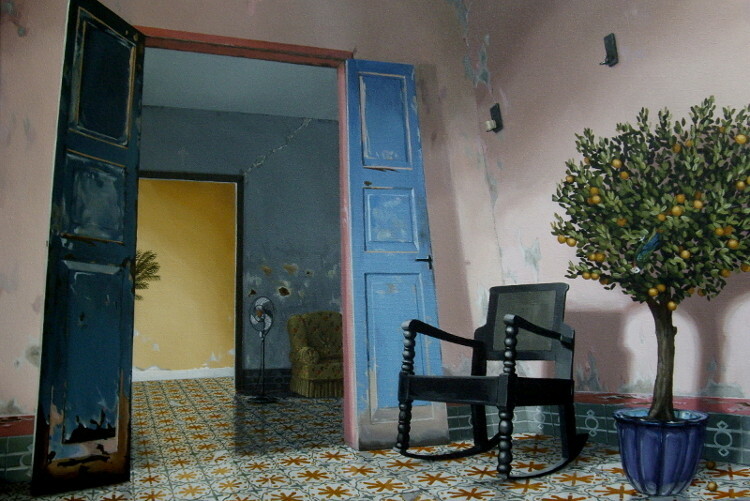 My paintings of interiors all tell a story- but the story is not definitive and unravels in the mind of the spectator. By leaving a few visual clues (small objects, composition) I invite the viewer to imagine what the story behind the pictured scene might be. 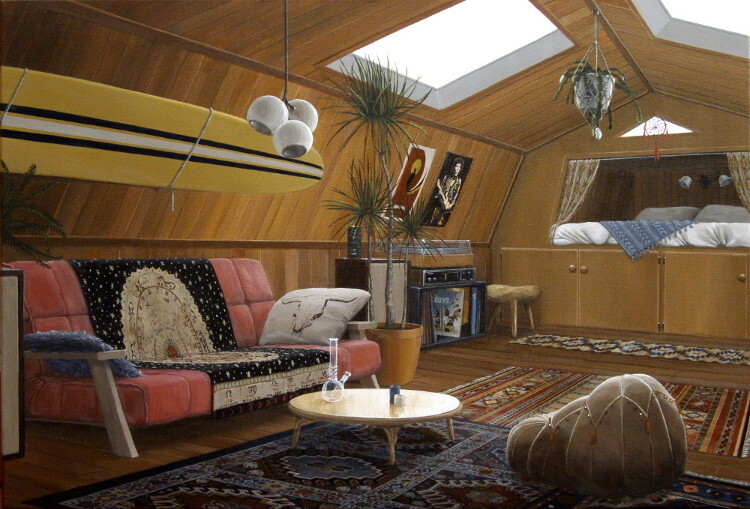 The realistically painted interiors offer a kind of escape into someone else's life, even though the scenes are imaginary. Also, the viewer is left with a sense of uneasiness. Lots of interpretations are possible for every painting. I only set the scene- like a movie still of a suspenseful film you haven't seen yet, or that moment in a theater show right before the actors enter the stage. All props are already in place and the lighting is set just right. The atmosphere is complete and the story could go anywhere, but you are sure every object on stage will play a part. Stuur een bericht naar "Anneke Mikkers"